YapStone is a provider of market tailored payment solutions for software companies, platforms and marketplaces, powering electronic payments for sharing economy marketplaces, such as HomeAway® and VRBO®, and thousands of apartment and vacation rental companies. 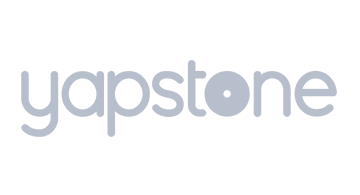 YapStone processes over $18B in payment volume annually and has been recognized on the Inc. 5000 list of Fastest-Growing Private Companies for ten consecutive years, as well as San Francisco Bay Area's Best and Brightest Company to Work For by the National Association for Business Resources. The company has raised over $120 million from investors including Accel, Meritech Capital, Premji Invest and MasterCard. Headquartered in Walnut Creek, California, YapStone has additional offices in Santa Monica, California; Austin, Texas; and Drogheda, Ireland.